Above are two landscapes from my most recent trip to northern California wine country. I've developed a taste for good wine and I'm almost dangerous in understanding Californian, French, Italian and Australian varieties. A trip to Napa started my interest in this in 1999 along with business travel accompanying people who knew a lot more than I did about wine. 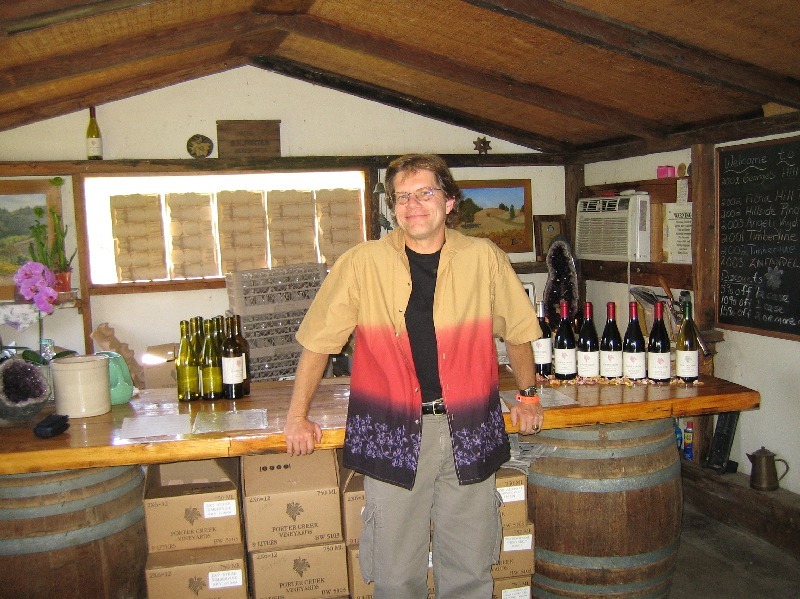 After a trip to Chile in December, 2014, I added a page devoted to Chilean wines. 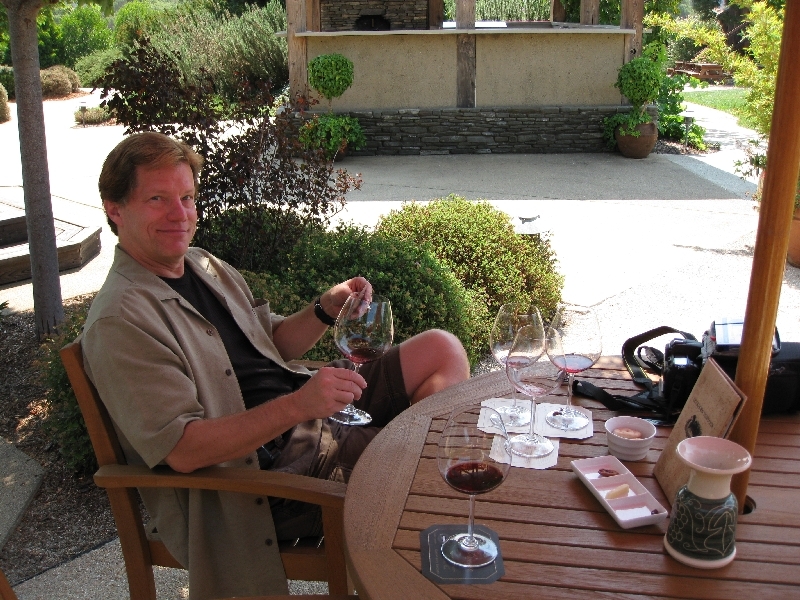 After a trip to Burgundy in February, 2012, I added a page called Burgundy Basics. At the bottom of this page I have listed my current wine selection "hot list" which seems to perpetually fall out-of-date. Occasionally I host a small wine tasting party for friends. Follow this link for the "Flights of Fancy". A good overview titled "How to enjoy wine" was published by Wine Spectator in February, 2015 - click here for a scanned pdf copy. Follow this link for a simple method I learned a long time ago of intelligently tasting wine and reading wine labels, which has served me ever since. Pairing food with wine is also an adventure. 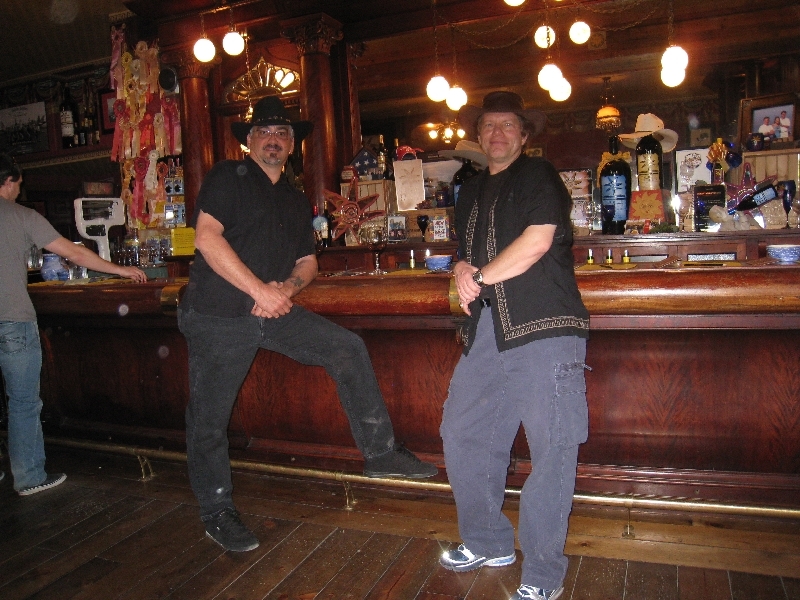 For a view of my "short list" of restaurants with good food and a good wine list, follow this link. 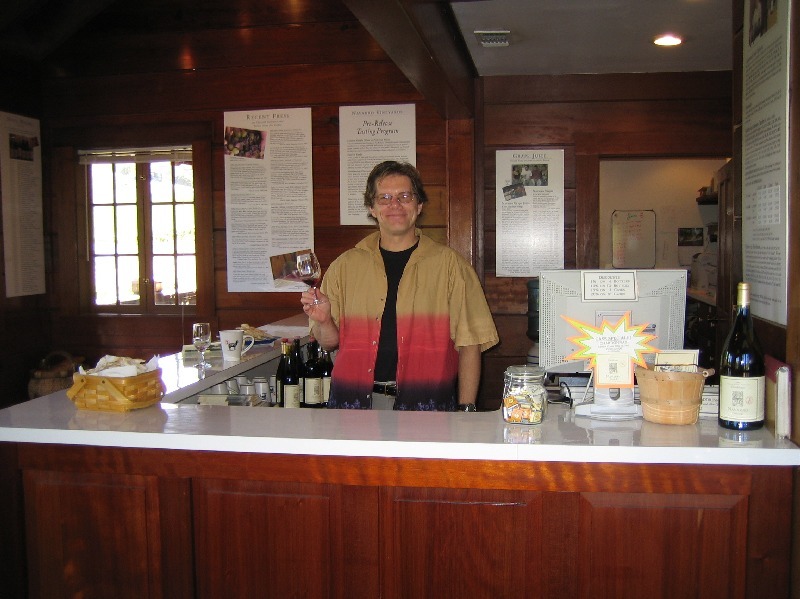 An informal pdf document that I call "Wine tasting notes in California" is updated fairly often offering advice for anyone planning their first wine tasting trip in California. If you choose to taste and drive, know your levels using any breathalyzer with a fuel cell sensor - not the kind with an unreliable semi-conductor sensor. I use the tiny BreathKey ($70) and recalibrate it every year. Better, but much bigger to carry around is the BACtrack S80 ($130). 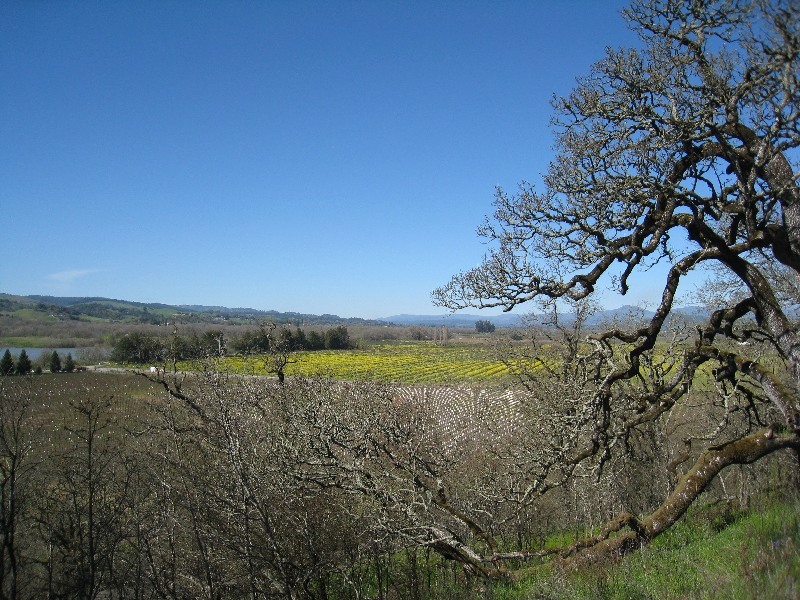 For me, there's no place quite as beautiful as wine country (first picture above - Russian River Valley view from Copain Winery). 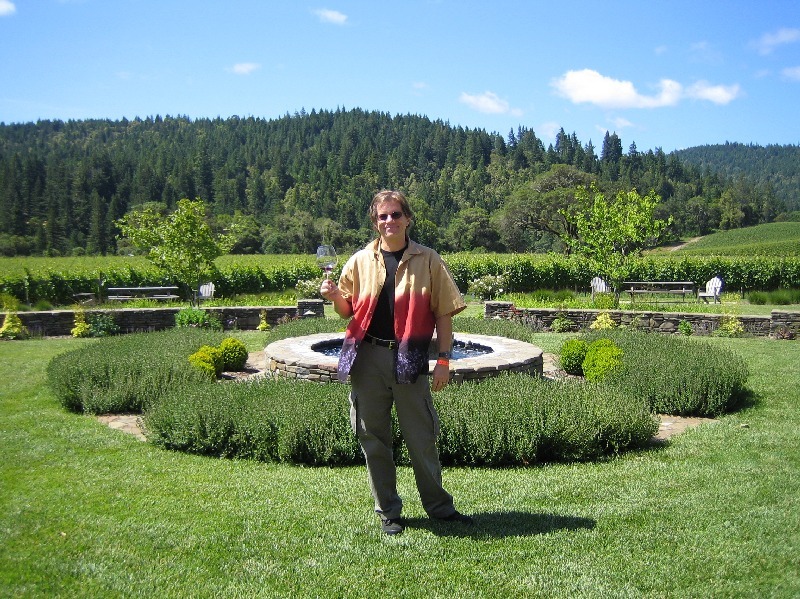 Wine tours are a good way to get your feet wet on the science and art of wine. The most informative tours I've been on were at Jordan (second through fourth pictures above - free tour with an advance reservation) and at Niebaum Coppolla and St. Supery (where they teach you to correctly identify the nose). Also highly recommended is the Duckhorn estate tasting and the J winery "bubble room" where they pair wines with food in a community table environment. 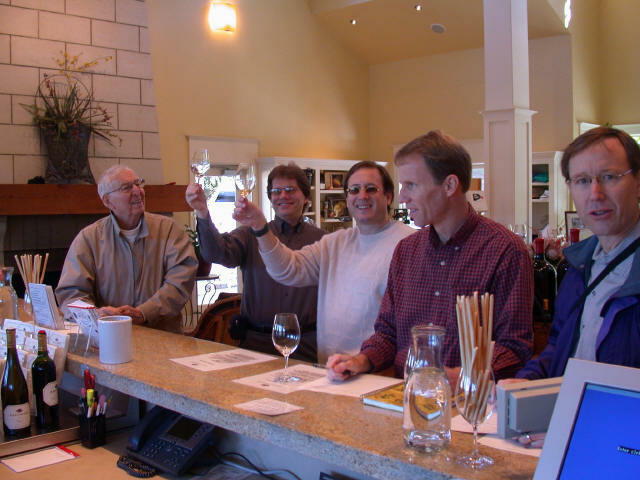 In most cases, a winery's basic tasting is just okay and the extra charge for a reserve, estate or premium tasting is worthwhile (most notably at Stags Leap in Napa). 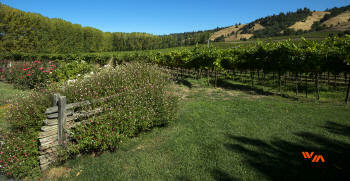 Wine tasting in California is best done at a rate of about six to eight wineries per day. Focusing on just one or two varietals all day is also a good idea. Sonoma is less crowded on the weekends than Napa with arguably better wines. The Anderson Valley, 90 minutes north, is a less discovered find, most notably at Navarro (first picture above), GoldenEye (second and third pictures above) and Husch (fourth picture above). My "Wine tasting notes in California" is a good first step in planning. Other notable tasting spots are Dover Canyon (first picture above), Tablas Creek, EOS, Turnbull (second picture above), the reserve room at Geyser Peak (third picture above), Arrowood (fourth picture above), Hanna (first picture below), Tobin James (second picture below), Porter Creek (third picture below), Stryker Sonoma, Ridge, and Rochioli (fourth picture below). Bring some friends, designate a driver and enjoy the wine and scenery. A few trivia items I've picked up along my journeys - a) Meritage (a wine made from a combination of grape types) is built from the words merit and heritage, and is properly pronounced that way. b) To be labeled a single varietal (e.g. 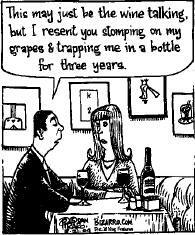 Chardonnay, Pinot Noir), that grape's content in the wine must be over 75%. 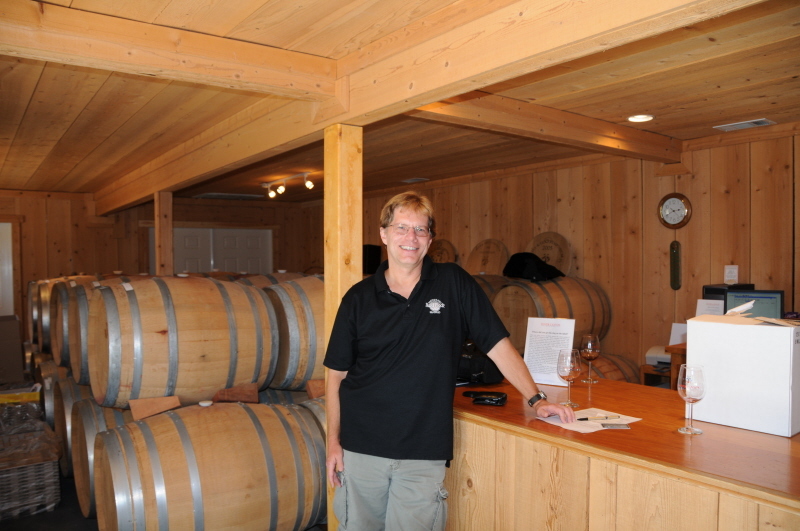 c) The process that causes the smooth, creamy, buttery taste in a Chardonnay is called malolactic fermentation. 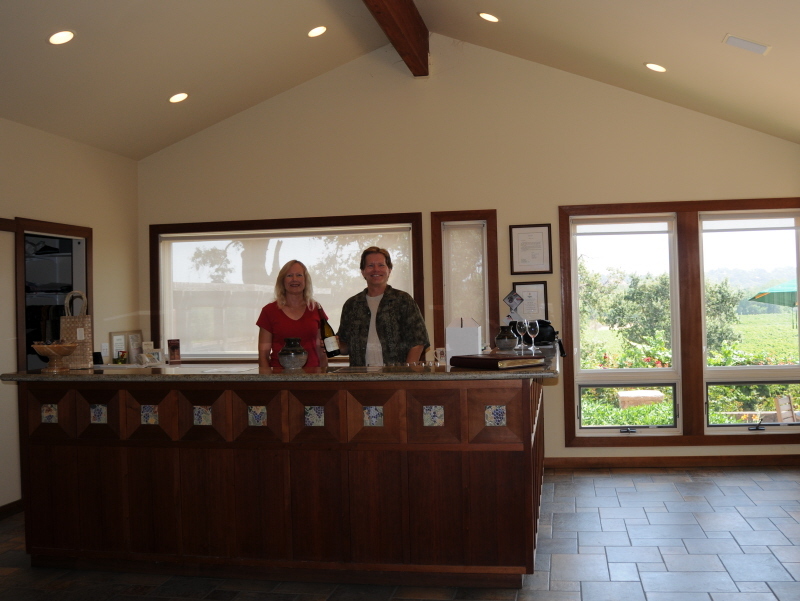 My favorite winery overall is Melville, offering a variety of distinctive, yet reasonably priced wines along with a beautiful tasting room near the Santa Rita Hills. 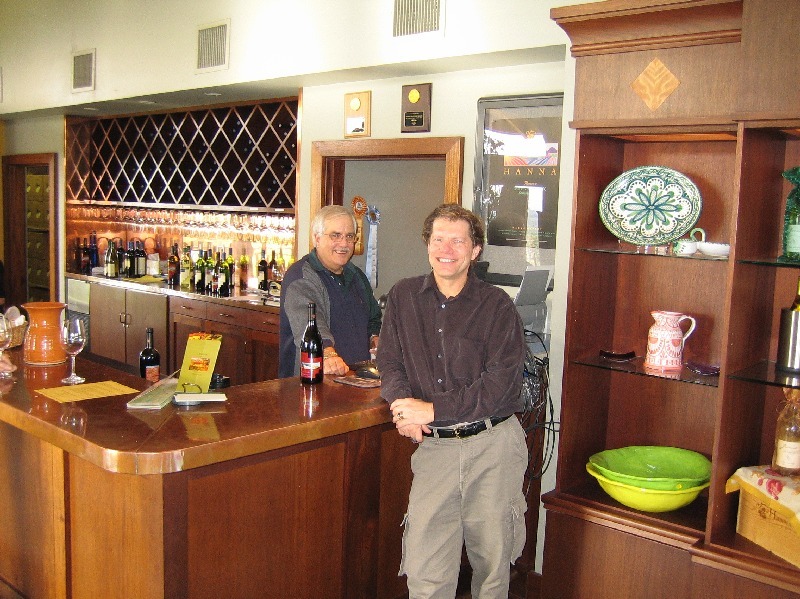 I have had the opportunity to meet the owners and the winemaker many times. My favorite wine ever is Alpha Omega's 2009 ERA. Staggeringly great on every level and as long as a book with a price to match. Back down to earth a bit, I have compiled a list of my current favorite wines. It is hopelessly out of date almost immediately when I publish it, but it may still provide a guide to some great possibilities. This list includes wines between $20 and $35 per bottle, except as noted.